This post is not an easy one to write. I met James Wines, from SITE, last month. More than a proper interview, we can call this meeting a conversation. Relating a discussion where there are no questions answered, no slides, no particular subject, is not that simple. And come on! I met James Wines, the one! 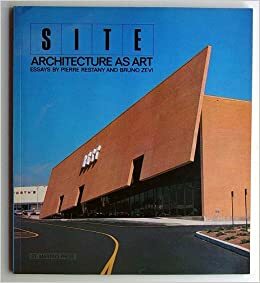 When I started studying architecture, I bumped into a monograph of SITE at the library once, and their work never left me ever since. Every of my submission had a drawing from SITE as a reference. I then dived into sustainable matters and discovered James Wines through his books and public speeches. Even this blog is full of references from SITE’s work: see this article about the significance of context or this older one about technology versus art in sustainable design. So meeting him today, just like two people talking for two hours, was quite a deal for me! The conversation was passionating and going from one idea to the other, James (now I can say just “James”) is a very interesting man to talk to. I’ll try my best to summarize the different areas we explored so you too can learn more about him, his interests, his vision. SITE, like Architecture, started with art. Architecture is indeed about pleasure, experience, meaning. When SITE started, an active artistic movement was having a conversation with society. In Soho, artists and intellectuals met, conversed and raised questions about their times. A great dialog was going on and exchanges of all kinds, namely with Italy, nourished the conversation. They used to put art where it was not expected: into the streets. The art world is now frightening. It is not about discussing anymore, but only about selling. Seemingly, meaningful architecture is harder to build now. The gap between building and concept is deepening, each flourishing in two separate worlds. Humanitarian ideas are not part of the construction field anymore, at least not in the main stream architecture. Here I think to myself: “Come on James, please don’t be that pessimistic about contemporary architecture!”. Thankfully, he gets back to a higher mood foreseeing a change of climate […] Five years from now, we will see things turn around again and new meanings develop in the field. When asked about his methods through the design process, James immediately calls on arts again. The project is like a theatre performance, like a movie. It is about supporting an other meaning in addition to the obvious one. He’s very fond of working on projects that look like something but are something else. The more I think about it, the more I believe a lot of SITE’s projects address this very idea. A building is more than just a shape – as a sculptor, James got fed up with shape itself. All is about the message conveyed. That is where context and location get involved in the narrative. The architect uses culturally charged ideas, sometimes subconsciously, to support a meaning. For a great design to emerge, as for art to be possible, we need the will, an audience, and a common movement of politics, money and talent […] Things get built when people want it to. That is why the general climate of any project is important. A dialog is to re-establish with clients. What they want is not conceptually based […] It has to get complicated at some point, and this is why it takes time to do a successful place. Like movies, it looks “corporate” if not expanded. Under-used plaza pictured in William H. Whyte’s film The Social Life of Small Urban Spaces. Chatting about the cities he likes best (NY, Rome, Paris), european culture and great Spanish plazas, we hit the “Public Space” subject, which was actually the very start of our conversation. About Public Space future, there is definitely an increasing demand for it. [But] modern architecture does not assume a subsequent iconography to support urban life. Public spaces need triggers to interact with people, concepts to tackle a new way of living. For a successful public space, the right climate of activity is to develop. Everything goes together: public interest and desire, art movement and societal context. Words and images are still very powerful, that’s why censorship is necessary to abusive power systems. Opponents then develop a coded language. Architecture is also linked to power. For instance, Goebl (this social monster) built public spaces featuring big buildings with small windows, to make people feel watched. Laughing, James adds How could you possibly rebel, rally, get mad and angry in front of the Trevise Fountain? Hand drawing enables accidents. Sketching randomly will lead to happy mistakes that are part of the design process. Like in calligraphy, it is after fifty tries that you get to know what to do. Like a plan, a drawing has a surface structure and a deep structure. It is complex and shows a lot of things. A sketch should look like the project, show its atmosphere and specificity. It is an ID print of the project but also of the designer. All those lines come from the drawer’s mind, from the architect’s hand. They are embedded in his/her fingerprint. James Wines is definitely an artist. The question to know if architects should or should not consider themselves artists is an eternal one. 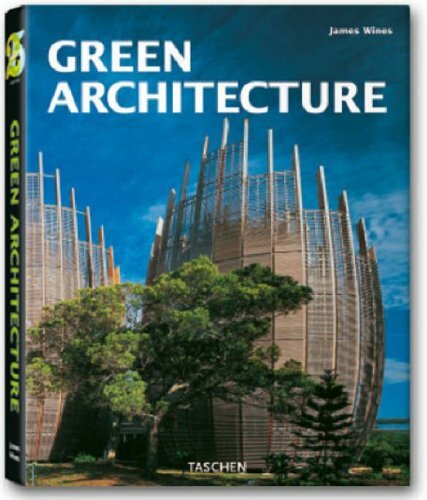 I myself wondered about the definition of being an architect many times, see this post, or this one, or even this more recent one. Let me quote my friend R. who attended James’ talk at Pavillon de l’Arsenal a couple of months ago: I find his approach more artistic than architectural because his buildings are architectural critics. Let’s take BEST shops for instance: he points out the fact that shops are only boxes and/or parking lots and he plays with this language and diverts it to make his own architecture. His buildings are about what architecture is or should not be but don’t address what it should be. It is like his buildings are not standing for themselves, they function only as an opposition to commercial archetypes. But if you consider them as artistic projects, they are great! Indeed, the conversation I had with James was much about art, culture, drawing, … We did not talk much about architecture… or did we? Is approaching the societal climate of any given project already touching upon architecture? Is the client’s awareness, the art movement and the urban context the main topics of the architect’s work? I met many architects in NYC for the past few months and it is intriguing to see how a profession can be experienced in so many different ways. From technical envelop engineers to fancy furniture pickers, from anthropologists to underground fluid system managers, from politically engaged artists to urban developers, architects are as many kinds as there are grades of the same color. Realistically, it should get much longer to explain to a stranger what we do for a living than just “I’m an architect” which is usually the answer period of a first conversation. Well, I don’t have the answer and architects are endlessly re-defining their role in society. Still, James Wines is one of the few artists-architects I know who actually got things built and for this he is worthy of his internationally acclaimed position as a great architect, artist, writer, teacher, … I want to listen to his point of view which inspires my overall philosophy and my day-to-day practice as an architect.